March has not been the most productive month around here. We’ve had the car accident, spring break, and now other responsibilities are creeping in. There’s a big children’s consignment sale twice a year at which I am very slowly offloading things the small, mobile ones have gotten too big for. It is in a week. I am not as far along in being ready as I should be due to surgery, car accidents, etc. It is the Scholastic Book Fair at the bigger, mobile one’s school, and I am volunteering, both because I am behind on my volunteer hours for the year (we’re supposed to do 30 hours, ahahahaha) and because I love both books and book fairs. We did go on an overnight trip for spring break to a new, local, giant resort hotel that’s running a special deal for locals. That was nice. I went to a webinar yesterday about creating classes on Skillshare. I had this revelation last week that it didn’t make sense to have a nonfiction series that wasn’t driving people to something, and I’m not sure if I mentioned that I wanted to get out of freelance editing (it takes up the brain power I need to work on my own stuff), but it doesn’t make sense to drive people there if I’m phasing that out. (The self-publishing coaching and book formatting aspects are fine. Ugh, I probably need to change my URL or something.) The Skillshare webinar came to my attention immediately after having this revelation, so there may be something to that. Plus we’re hosting a den meeting at the house tonight so I have to clean everything, bleeeehhhhh. I would like to at least finish Lesson 9 of my writing class. That will give me an outline for the story I’m working on there, which means there SHOULD be writing in the near future, and I’m always up for writing. I would like to finish the Story Ideas workbook (currently 24 pages long), the freebie to go along with it, and edit the common writing mistakes book. That might not all get done–I need to finish the story ideas before going on to the next book, and the workbook is taking longer than expected, though I hope once I get through the individual exercises that it will move faster. maaaaaybe a drabble of some sort? WriYe is having a WriDay on Friday, but the lowest word count section is 2500 words, and my drabbles only run ~1000. (I don’t think it can go much longer and still be a drabble, honestly.) If I’m on to revising the next nonfic book, it might be doable, because I’m adding new sections as I work on those. Finish the complete draft (with drawings) of the first Landsquid picture book and continue my research into the wild world of children book publishing. I’ve gotten the 2019 Childrens’ Market out of my library, which I am very slowly making it through. Finish reading 1, but preferably 2 (or maybe 3!) books. How’s your March going, Squiders? You’ve been traveling all day. The road is dusty, and long, and it’s been hours since you’ve seen another soul. It’s getting late, and the thought of sleeping on the ground and potentially getting eaten by wolves is unappealing. Finally, up ahead, you spy a man with a cart. It’s old and lists to one side, but this is a good sign. Surely he’s coming from somewhere. You hail him, and he raises a hand in return, seeming friendly enough. “Is the a town up ahead?” you ask once you’re close enough. “One with an inn?” you ask, scarcely daring to hope. You’d give anything for a roof over your head. More for a warm, dry bed. Then he is gone, and you forge ahead, dreams of warmth and fire and food vivid in your mind. The town keeps relocating so it’s kind of an adventure as to where you’re going to find it next. 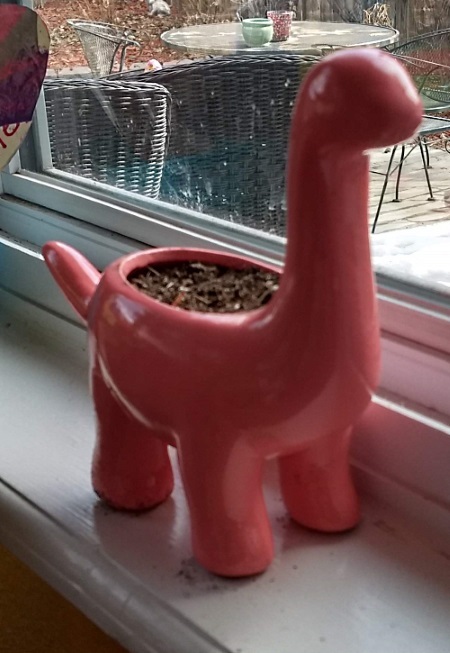 We also celebrated the first day of spring by planting flowers in a pink dinosaur, as you do. Been up to anything fun lately, squiders? Ideas for our growing town? It’s editing month at WriYe (probably to line up with NaNoEdMo–National Novel Editing Month–is that still a thing? I’ve been in the online monthly challenge community for so long I can’t keep track anymore.) 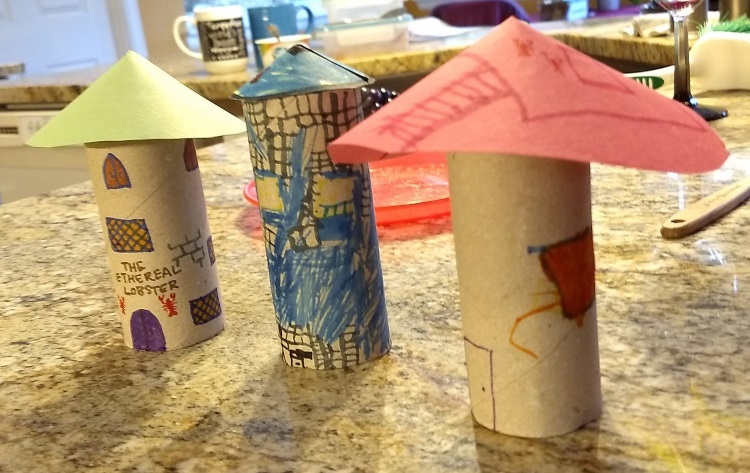 and so this month’s blog circle questions have to do with that. Describe your editing process. What is your biggest challenge in editing? I think I’ve talked about my editing process in great detail before here on the blog, but if I haven’t, essentially I do several months of analytical work, looking at plot and character arcs, which scenes are essential and which are not working, if there’s characters that should be removed or combined, if there’s confusing parts or if a prop comes out of nowhere or if some aspect of worldbuilding is falling apart. And THEN I outline the story, put each scene on a color-coded note card, and start the revision/rewriting process. That typically gets rid of the major issues, and if the story still needs some work, it’s mostly minor things. Tell us about your ideal critique partner. What do you look for in a critique partner? Ha! If we’re going for ideal, someone who reads the chapter/story quickly, who points out things that are good along with the things that are bad, and someone who can look at a chapter as part of a larger story and make insightful comments on character and story arcs. Oh, and someone who is into your writing and loves to get it. Hooray! 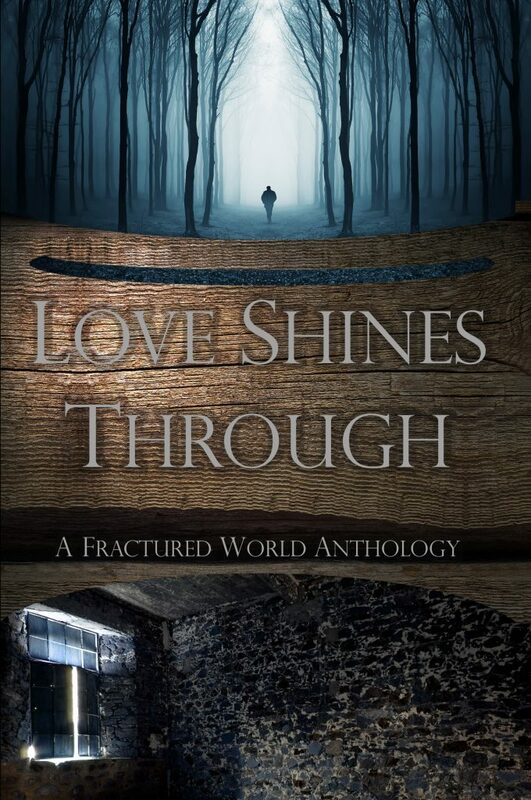 It took a ton of work, but Love Shines Through: A Fractured World Anthology is now available! The world was whole before the war. But war is a terrible thing, and terrible things are done in the name of defense and protection. And this war tore the world apart, fractured it, separated families and lives and dreams. The reasons why no longer matter, but the effects still linger. They cause pain, though the war is over. But despite the monsters and the poisons and the despair, there is a glimmer of light. And hope and love are not gone from the world. These four stories, set in the Fractured World, explore how light can make it through the darkness. How hope can conquer fear. And most of all, how love can still flourish, even when the world is bleak. A young woman braves monsters to see the sky. A reluctant man chooses forgiveness over suffering. Lovers reunite to save a child and their community. Best friends risk everything for each other. Come see the light for yourselves. I’m so glad to see this done and out! Love Shines Through is available through Amazon in paperback or ebook form, or in your favorite format through Smashwords (and hopefully soon through your favorite ebook distributor). I had a great time writing my story for this anthology–it was fun looking at Briony’s ancestors and thinking about what could have led them to the point they’re at in City of Hope and Ruin. (Oh yeah, this anthology takes place about 400 years ahead of CoHaR.) And I’m glad to see it come to fruition. The Fractured World was always supposed to be a shared world, so it was great to have some new authors write in it. I hope you guys have a chance to check it out! Good morning, squiders! Today’s I’ve got an urban fantasy noir story for you. 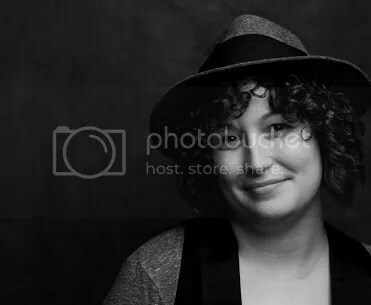 Human, private detective Anna Caill isn’t keen on the prohibition of magic enacted by the 18th Amendment, but she won’t deny it’s good for business. The coppers couldn’t care less about the witches’ problems, giving her any number of clients to choose from. When mysterious witch Jesse Hunt saunters into her office, he and his case will test her limits. While a killer stalks the magical underworld, Anna is hired to find Jesse’s friend, the high priest of an ancient coven. As her case unravels, Anna is forced to confront her addiction to a dark spell in this urban fantasy noir. D. writes stories she wants to read. Her love of the worlds of fiction led her to earn a Bachelor’s in English from Wright State University. When she isn’t reading or writing, she’s probably hiking, crafting, watching anime, Korean television, Bollywood, or old movies. She may also be getting her geek on while planning her next steampunk cosplay with friends. She lives in Wisconsin with her husband (John) and cat (Yin). There’s a lot to like here. I love the world, which is a mixture of historical and urban fantasy. 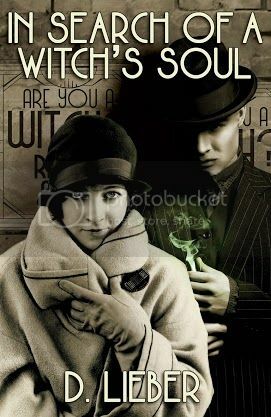 The story takes place in an alternate prohibition time period, where witches (which are tangibly different from humans) are known about and, if not fully accepted into society, somewhat integrated. The noir elements are well done also, and I didn’t see the twist at the end coming at all (though it is properly foreshadowed–I just fell for the misdirection), so kudos on that. It’s a quick read, and the story moves along well. Really my biggest issue was Anna, our main character. She’s a great private detective and her voice is fine, but man, does she have a major blind spot a mile high. I know noir main characters need to be flawed, and it is standard to have said flaw be related to their relationships, but it was obvious from the first flashback that she was operating under incorrect assumptions, and there’s no growth in said flaw throughout the book (and, indeed, it gets worse). I liked her well enough otherwise, but this was a major issue for me, and I don’t know if I would read another book following her unless I knew there was some sort of resolution in this area. 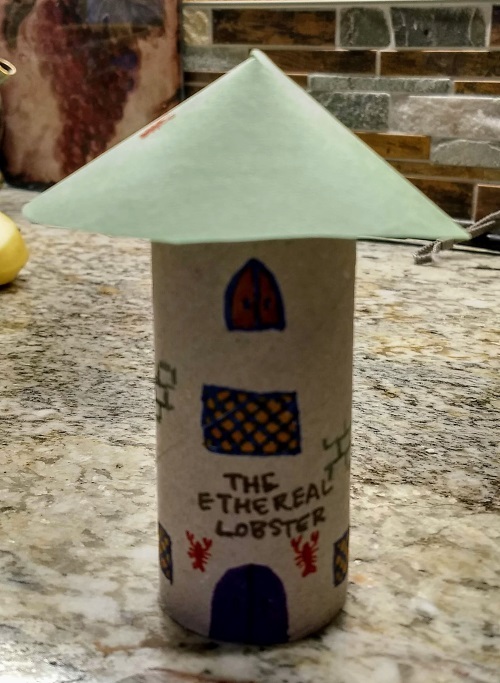 Bottom line: great, unique world with fun worldbuilding, fast read. Some characterization issues for me, but that’s completely arbitrary and another reader might not be bothered. I’d recommend picking it up if you like urban fantasy or noir with different-than-the-norm elements.